From mind-altering art exhibitions to under-the-radar beaches, these are the escapes set to top our travel wish lists this year. By Sarah Marshall. There are almost 200 countries in the world today – that’s a lot of potential passport stamps to collect. For most of us though, it’s unlikely we’ll ever get around to crossing off even a fraction of the globe, which makes choosing where to go an important decision! Some destinations and regions do rise to the fore, however, making them particularly appealing to visit right now. Whether it’s the launch of a new flight route improving access, an anniversary generating exciting exhibitions, or simply an emerging trend gaining pace, several factors make these five places ripe for 2019. Ten years after a violent civil war was finally put to rest, this teardrop-shaped Indian Ocean island is now one of the most sought-after travel destinations. Initially affordability was the big draw; holidaying on it’s sun-splashed beaches costs a fraction compared to its flashy neighbours. But now word has spread of the other attractions on offer. 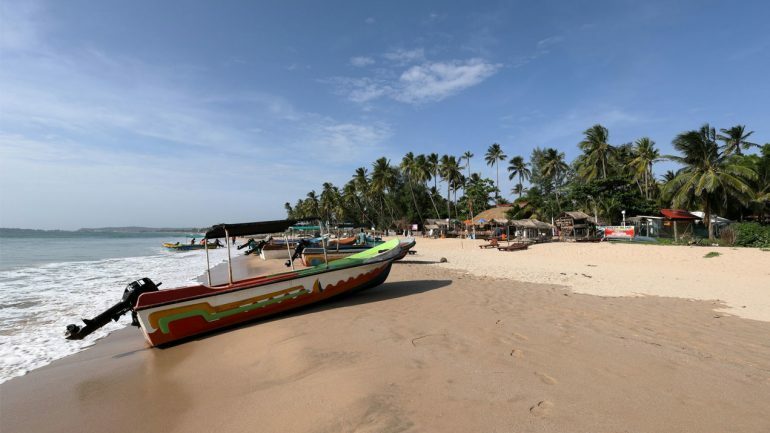 Lonely Planet named Sri Lanka the number one destination to visit in 2019, largely on the basis of its “mix of religions and cultures, timeless temples, rich and accessible wildlife, growing surf scene and its people”.Once off-limits to visitors due to clashes between the Sri Lanka Army and Tamil Tigers, the north-east coast is the country’s fastest rising star. Port city Trincomalee has some excellent opportunities for whale watching, and provides a quieter alternative to overloaded Mirissa in the south. Arugam Bay, meanwhile, has a laid-back surf scene and claims to receive some of Asia’s best waves. 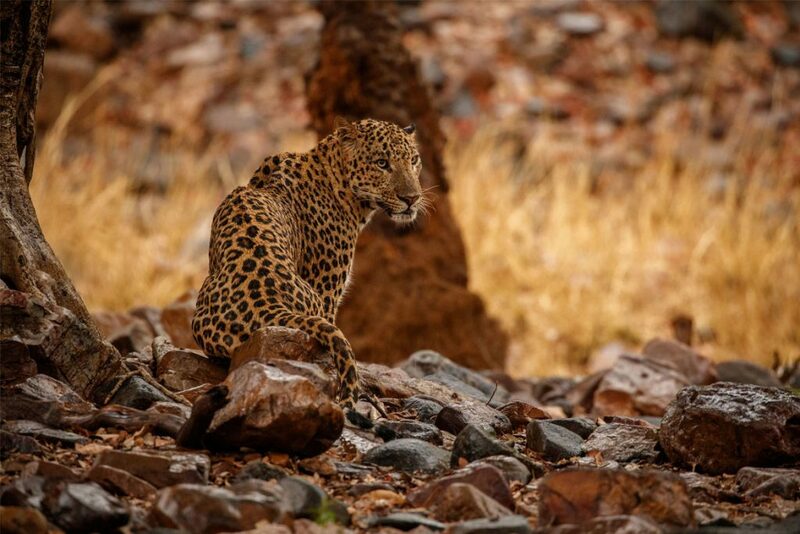 Inland, tea tourism is gathering pace, while wildlife fans are heading to Yala for sightings of leopards and Minneriya National Park for large elephant herds. How: G Adventures (gadventures.co.uk) offers a 7-day Sailing Sri Lanka – North Coast tour from £899pp, for various departures in Feb, March, November and December. Flights and meals extra. Boasting 54 Unesco World Heritage Sites, more than anywhere else in the world, Italy is a magnet for anyone keen on culture. A master of both the arts and science, Leonardo da Vinci was the archetypal Renaissance man, so the 500th anniversary of his death on May 2, 2019, has spawned a year’s worth of celebrations and exhibitions. From April 19 to July 14, the Gallerie dell’Accademia in Venice will launch a new exhibition dedicated to the great polymath, displaying one of his most iconic drawings, the Vitruvian Man. Meanwhile in Florence, the Museo Galileo’s exhibition Leonardo Da Vinci: Anatomies: Machines, Human Body, Nature (April 21 – October 7) looks at his studies of the human body, which he regarded as a sophisticated mechanical device. The master’s most famous work, The Last Supper, hangs in the refectory of Milan’s Santa Maria delle Grazie convent, although to see it you’ll need to purchase tickets in advance (cenacolovinciano.vivaticket.it). 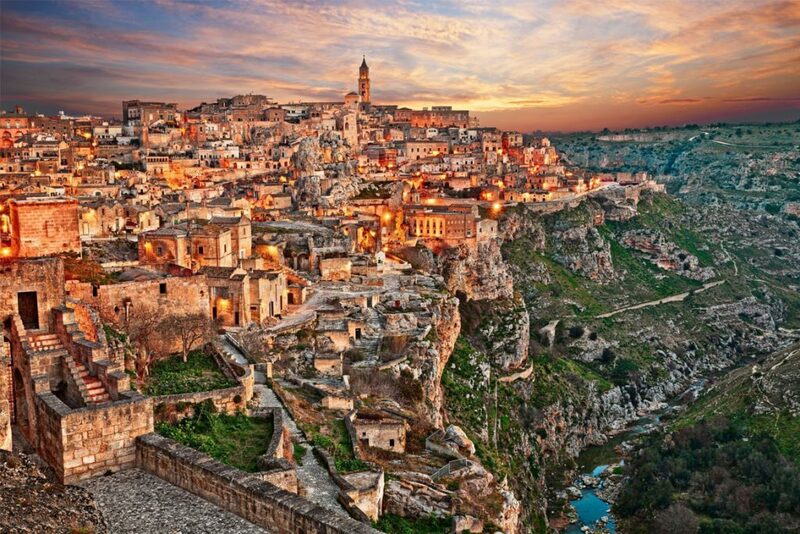 Further south, all eyes will be set on Matera, the European Capital of Culture. Blighted by poverty, the city in Basilicata was once a source of national embarrassment, but in recent decades its famous sassi – rock dwellings – have been converted into tourist-pleasing restaurants and hotels. A programme of events is planned for the year ahead (matera-basilicata2019.it/en). How: Hedonistic Hiking (hedonistichiking.com) offer a Southern Italy tour visiting Matera from £2697pp, including all accommodation, meals with wine, activities and transfers. Departures on June 11 and September 18. A city of mountains rising from the Atlantic Ocean, Rio de Janeiro has an irresistibly romantic allure. The 2016 Olympics gave the destination plenty of worldwide airtime, and now a new budget flight route means the South American party-hub is within more peoples’ reach. On March 31, Norwegian will begin a direct service to Rio, following the success of their Buenos Aires route, which launched last February. While many will use the flight as an opportunity to explore Brazil’s wide-ranging riches, there’s plenty to keep you occupied in Rio for a few days. Seeing the city from above is definitely a highlight; climb to the top of the Christ the Redeemer statue or take a cable car over to the tip of the Sugarloaf Mountain. Brazilians treat the beach like their front room, and spending time on Rio’s sandy bays is the best way to integrate with local life: Copacabana is busy and boisterous, while Ipanema and Leblon are classier and quieter. For a taste of Rio’s past, head to the gabled mansions climbing the hillside in Santa Teresa. 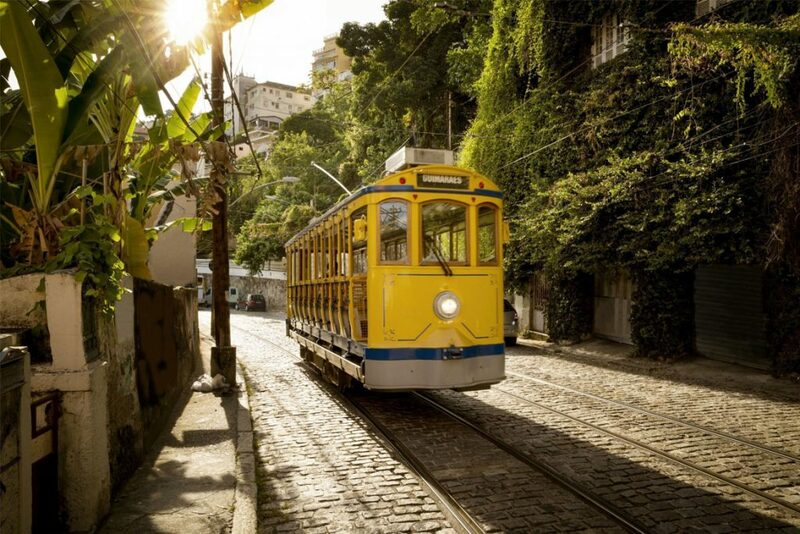 A cherished part of the community since 1877, the canary-yellow Bondinho de Santa Teresa tram car operates journeys into downtown. How: Norwegian (norwegian.com/uk) offers flights from London Gatwick to Rio from £239.90 one way. A symbol of strength and authority in Europe, it’s easy to forget Germany was once divided. 2019 marks 30 years since the fall of the Berlin Wall, a physical and metaphorical barrier between east and west, in place since 1961. On November 9, 1989, following a wave of revolutionary activity in Eastern Bloc countries, East Berlin’s Communist Party declared residents of the GDR were free to cross to the other side. People from both sides responded by clambering onto the wall, and the government officially began demolition work a year later. Memories of the past are still preserved in Berlin: Former squats in Mitte and Friedrichshain are now bars and restaurants; the East Side Gallery is a section of the wall left standing and converted into an open-air art display. But commemorations will also be taking place in eastern city, Leipzig. On October 9, 1989 – a month prior to the fall of the wall – more than 70,000 people joined a non-violent protest for freedom and democracy, which many believe had an impact on events in Berlin. The monumental march is now celebrated annually with a Festival of Lights. How: Explore is offering a one-off opportunity to cycle the 155km length of the former Berlin Wall, accompanied by a guide who grew up in East Germany. 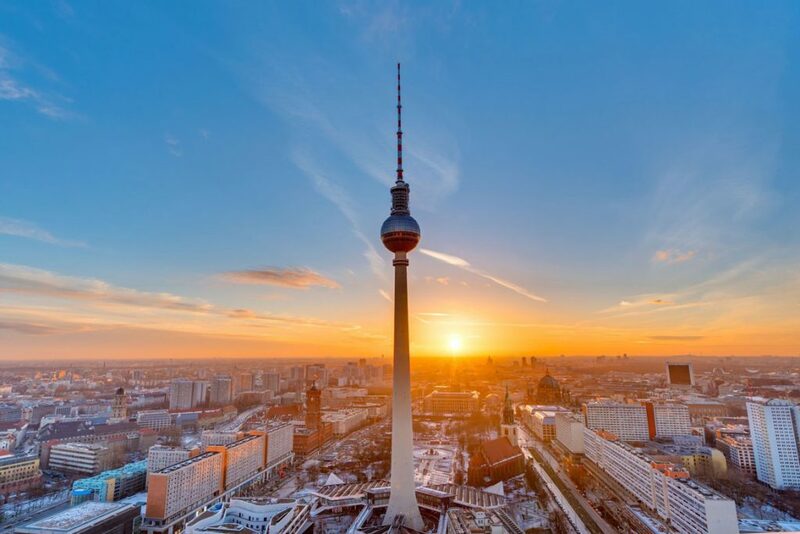 The 7-day Cycle the Berlin Wall departs September 16 and costs from £1420pp, including flights to Berlin, transfers, B&B accommodation and bike hire. Luggage is transported between hotels. Japan is on its marks to get set for two major sporting events, with televised scenes of the country’s snow-crested mountains and neon-lit cities very likely to tempt visitors. On September 20, the Rugby World Cup will kick off for the first time in Asia; over the course of six weeks, 48 matches will be played at 12 venues nationwide. Whetting an appetite for competition, the tournaments will no doubt set a healthy precedent for the 2020 Summer Olympics in Tokyo. In anticipation of growing demand for the destination, British Airways will launch a new direct flight from London to Osaka in April 2019, starting at £572 return. Although only an hour’s train ride from Kyoto and two-and-a-half hours from Tokyo, Osaka has enough to keep visitors occupied for several days. 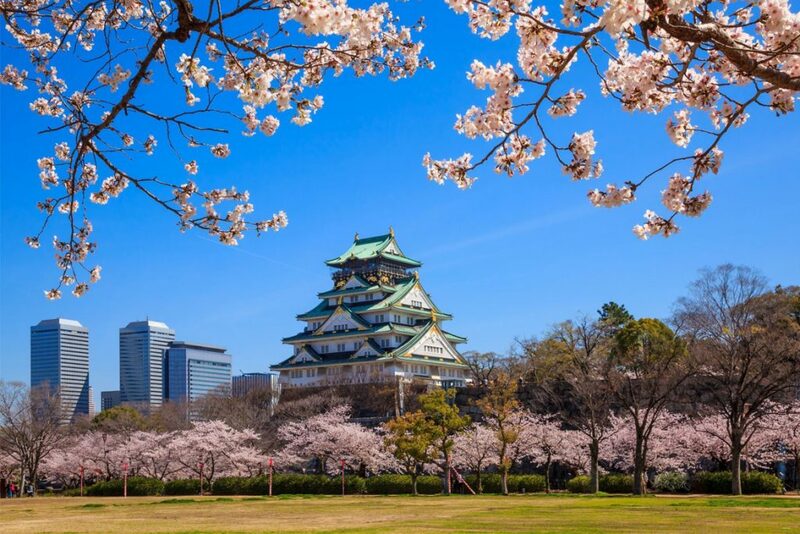 Now surrounded by skyscrapers, the 16th century Osaka Castle is a fairy-tale stack of sloped roofs surrounded by cherry trees. For families, Universal Studios Japan has characters extra-larger than life. How: Abercrombie & Kent (abercrombiekent.co.uk; 01242 547 760) offers the 14-night Discover Japan tour rom £4445pp, including flights, accommodation and transfers.